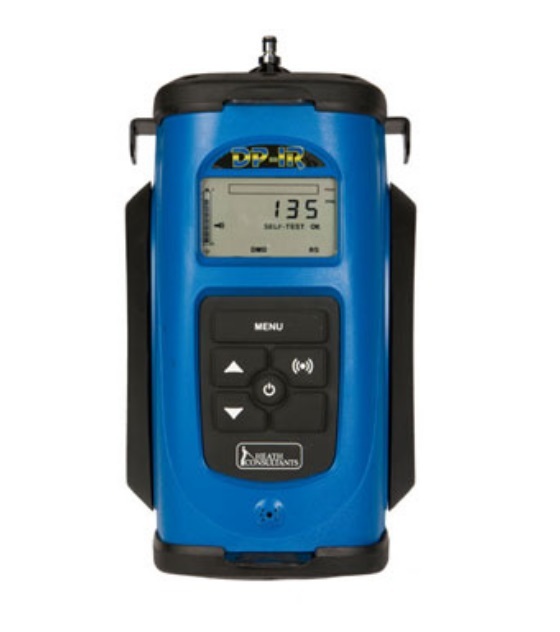 The GMI DP-IR is the latest of a new generation of leak survey instruments from GMI that will greatly improve the productivity and safety of a walking/mobile survey. The Detecto Pak-Infrared (DP-IR) is a highly advanced technology capable of detecting methane without false alarming on other gases. 99002UK Detecto Pak-Infrared (DPIR) includes UK power lead. Range: 0-10,000ppm to 100% Gas. 0 to 100% Gas. 99002EU Detecto Pak-Infrared (DPIR) includes EURO power lead. Range: 0-10,000ppm to 100% Gas. 0 to 100% Gas. Comes Complete with: Battery Charger, Shoulder Strap, Survey Probe, Barhole Probe, Dust Filters, Water Filter & CD Manual all contained in a Carrying Case.